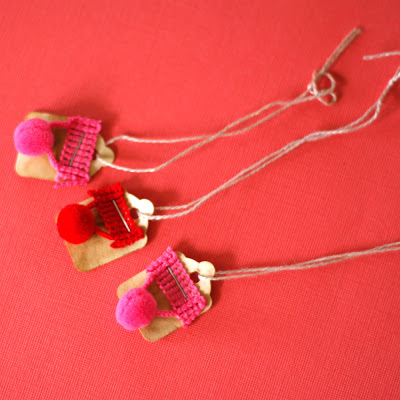 just added these fun vintage style pom pom mini gift tags to my etsy shop. the tags are hand dyed by me for a nice vintage look…. and, who can resist some cute little pom poms? …just in time for valentine’s day! Did you tea dye them? So cute!